Today, Gadget Explained previews a nifty plug and play lamp solution called Ario, which uses advanced LED technology and cloud connectivity to combat grogginess in the morning by aiding sleep, improving mood, helping manage weight, reducing stress and improving overall well-being. 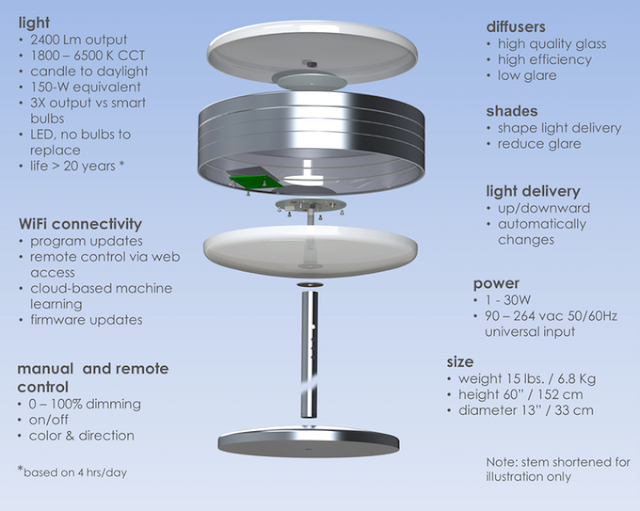 Ario is WiFi-connected and essentially mimics the light of the sun to keep your body clock in sync. Ario is easy to set up and use. 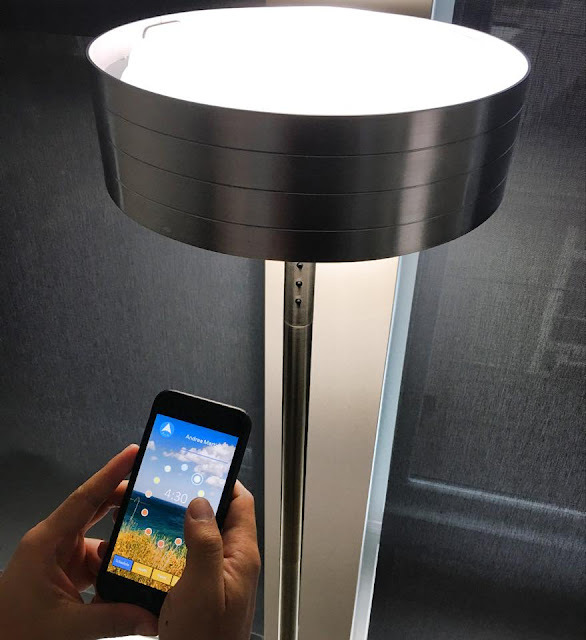 Just plug in the lamp into the wall, connect it to your WiFi via a simple phone app and sit back and enjoy, while Ario figures out where you are and comes up with a lighting schedule that evolves with you over time. Ario works automatically. If you unplug the lamp for days or weeks and plug it back in, Ario knows what to do, even when the WiFi is down. Light delivery: We provide a bright, 2400 lumens, wide color range for Ario, from 6500K blue-rich white light (mid-day sun), to 1800K amber white light (candle/fire light). We selected high performance LEDs used in large volumes by the general lighting industry to keep costs low and use custom light sources for the low end of the color range.